Greg Lisciandro, DVM, Dipl. ABVP, Dipl. 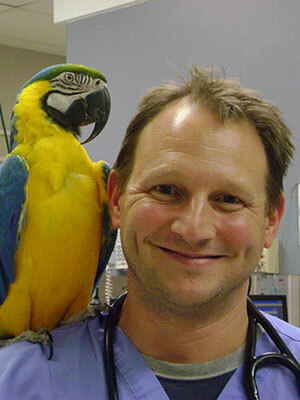 ACVECC, received his DVM, Cornell 1991, performed an internship at The Animal Medical Center, a residency in emergency and critical care at the Emergency Pet Center, and is currently co-owner and consultant for Hill Country Veterinary Specialists, San Antonio, Texas, and CEO of FASTVet.com, a website specializing in training veterinarians in abbreviated ultrasound formats (AFAST, TFAST and Vet BLUE). He is especially passionate about the use of abbreviated ultrasound exams after practicing in general practice for 11 years, before emergency and critical care, and now knowing how many conditions were missed or delayed in diagnosis by not using ultrasound as part of your physical exam. He has lectured at veterinary schools, national symposia (ACVIM, IVECCS, SWVS, ABVP, AVMA, Emerald Coast, Southern) and internationally (Canada, Britain, Brazil, Italy) and to medical doctors (TRISAT Critical Care Series). He enjoys publishing unique, rapid, point-of-care ways to improve patient care using ultrasound; serves on the ACVECC Education Guidelines Committee and Scientific Committee; editor and co-author Focused Ultrasound Techniques for the Small Animal Practitioner, Wiley 2014; chapter author human textbook, Critical Care Ultrasound, Elsevier, 2014. Dr. Lisciandro enjoys springboard diving, riding his unicycle forward, backward and with one foot, paddling rivers, and adding to his 429 life list of North American bird species. He and his wife, Stephanie, a veterinary internist, have 4 children (Noah, Hannah, Sarah, Joshua), 2 dogs (Priscilla, Theodore), 2 cats (Chester, Rainbow), 1 rat (Sugar), 1 hamster (Mamba), and maybe hermit crabs (at last inventory). This full-day program will start with case-based lectures that focus on using the abdominal FAST (AFAST), thoracic (TFAST) and Vet BLUE (bedside lung ultrasound exam) examinations for rapid detection of conditions generally missed by traditional means yet easily recognized by non-radiologist veterinarians using these 3 structured ultrasound formats. The AFAST-applied fluid scoring system will also be discussed as a monitoring technique for bleeding and other effusive intra-abdominal conditions helping with evidence-based information regarding the need for blood products and/or exploratory surgery. The thoracic FAST (TFAST) examination will be discussed with its applications for gaining cardiac views and rapidly diagnosing pleural and pericardial effusions, pneumothorax and other conditions. Finally, the cutting edge Vet BLUE (bedside lung ultrasound exam), using the ultrasound probe as a visual stethoscope, will be discussed with its potential to significantly change the manner in which we approach the respiratory distressed dog and cat. Finally, by using all three in combination, called global FAST (GFAST) the techniques may be used during resuscitation and for patient monitoring including volume status. The objective of these focused exams is to rapidly answer clinically important questions to help positively guide therapy and favorably influence clinical course in small animal veterinary patients; thus, keeping dogs and cats alive for continued work-up. Break from 12:00-1:00 PM, lunch not included.